I'm wondering if 2 4gb sticks are enough for gaming cuz I just want a cheap price, or if not possible, should I just get 2 8gb sticks? You want to use at least 2666 speed memory with your Rysen2600. If you want 8GB (2x4GB) the linked memory below is priced good, is on the RAM compatibility list from Gigabyte, and comes in 4 colors. In my opinion 2x4GB should be fine for gaming assuming you have a graphics card with dedicated graphics memory and if you have 2 more empty RAM slots in case you want to add more later. 2x8 GB is of course better if the price is close enough and it is what I would go with today and no other reasonable choice if you have only two memory slots. Be sure you purchase a matched kit, whichever way you go. Also, I recommend you buy JEDEC standard 1.2V DDR4, not RAM that stated it needs more voltage than that. For ryzen? 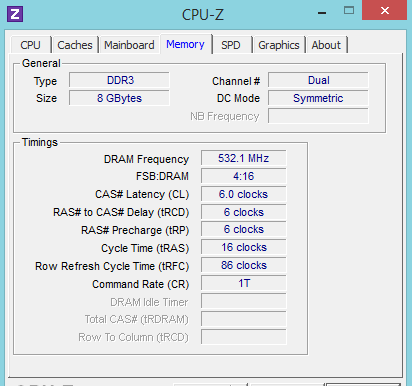 get some 2x4 ddr4 2933MHz, and be sure to enable XMP in the bios. or to save money buy a 2133 or 2400MHz kit and overclock it yourself. › [Solved] 4 x 4gb ram or 2 x 8gb ram ? › [Solved] GTX 660 Graphics card - good or not? For more information on this poster's hardware is the link below. How do I turn on dual channel mode? I'm a newb. Would g skill ripjaws v series 2 x 4gb ddr4 2133 work for my Gigabyte ga ab350m ds3h motherboard cuz it supports ddr4 2133 memory? and I don't even know how overclocking works. OtheHill: What about a ryzen 5 1400? hidde663: do slots matter? As in which 2 slots of the 4 should I put my ram in? The Rysen 5 2600 is a 6 core processor based on the newer Pinnacle Ridge core, which is 12nm die process and 65W. The Rysen 5 1400 is a 4 core Summit Ridge core with 14nm die process. The 2600 should run cooler. There are other improvements as well. The are virtually the same price. I would go with the Rysen 5 2600. Oh yeah, I never cared to look at the price of the ryzen 5 2600, but don’t I need a bios upgrade if I use it with the gigabyte ga ab350m ds3h? And I just checked the memory specs of the board and it said nothing about a ddr4 2666 speed? Tonight, 2666 & 2667 are the same thing. See the list below. That list was copied and pasted from the manual for your board. The specs say you can run 3200 or 2933 overclocked. Buy the RAM I suggest and you can probably overclock it as well as the processor. That is why I told you to buy RAM that meets JEDEC specs. One of those specs is 1.2V. Most faster RAM listed is using 1.35V, which is simply trying to get more out of the RAM by juicing it. You can do the same thing with the Crucial. What kind of ddr4 26662x4gb ram do you suggest? And I kinda wanna make my first build a budget one, so how do I overclock a 2133mhz? I posted a link to the part in #7 above. Here it is again. Don't look for cheaper stuff. The Corsair RAM is on the Gigabyte list as compatible but that RAM is probably OK too. Does have good numbers. I was just stressing to buy brand name memory in matched pairs. Tonight was originally looking at juiced RAM. 1.35V out of the box. As you pointed out above, he can juice it himself. Oh thanks guys, now I finally have choices to pick from.